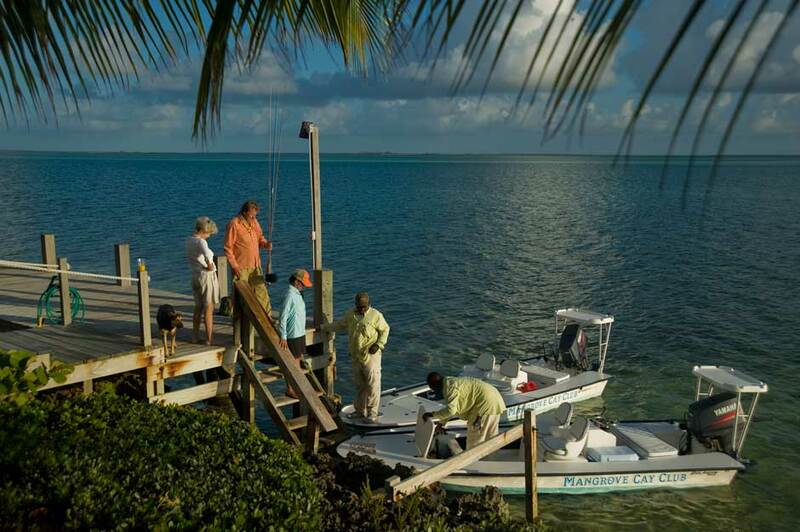 Mangrove Cay Lodge, The Bahamas | Tailwaters Fly Fishing Co. Guests take a charter flight to the Clarence A. Bain Mangrove Cay Airport (MYAB) near the lodge. 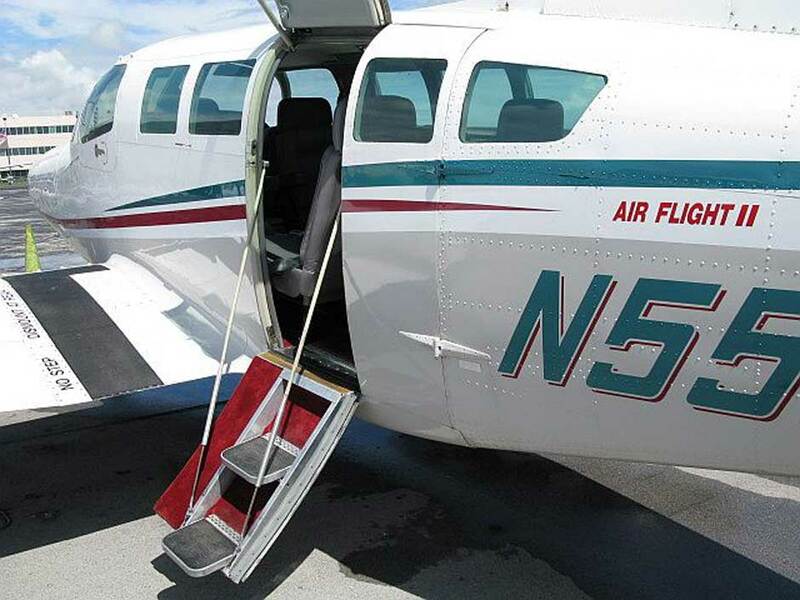 Charter flights serving Mangrove Cay depart from Ft. Lauderdale with Air Flight Charters or through a connection in Nassau (NAS) with local airlines, Flamingo Air or Le Air. Tailwaters will assist with charter flight coordination. The soft-natured mud flats surrounding Mangrove Cay dictate fishing from the skiff the majority of the time. However, there are times in which wading is feasible depending upon the conditions and location. There are opportunities on the flats for barracuda, jacks, as well as permit and tarpon if you are lucky – especially if you can make a run to the west side. Guests also have the option to go outside and fish for dolphin, wahoo, and other reef species as well if requested. Is Mangrove Cay Club Right For You? Mangrove Cay Club is perfect for folks who are interested in a traditional Andros fishing lodge experience, but would prefer something a little more upscale. It is not the best fishery to consider if you prefer to wade fish, as most of the areas fished are done from the boat. It is a fantastic spot to consider for couples who are both fishing – and a very comfortable place for low maintenance non-anglers to relax. 6 Nights / 5 Days Fishing is $4900 (based on shared room/boat). Shorter and longer stays available. Additional expenses include, but are not limited to, airfare to Mangrove Cay, imported liquors, gratuities and Bahamian departure taxes. (See RATES for more details). The Mangrove Cay Club is an upscale, but not pretentious, lodge run by amazing hosts, Liz and Alton Bain. Mangrove Cay’s efficiency is somewhat of an anomaly in the Bahamas – five star accommodations, timely guides and staff, amazing food, as well as top-notch boats and equipment. Mangrove Cay is located on the middle bight of Andros Island. The lodge is well situated away from the busiest lodges to the north, and offers convenient access to the north & middle bights as well as a reliable off-shore program for dorado & wahoo. In addition to having miles and miles of productive flats in the immediate area, Andros’s famous west side flats are also a practical boat run away. While Andros is first and foremost a bonefish fishery, guests will also frequently encounter barracuda, snook, jack crevalle, and the occasional tarpon or permit. 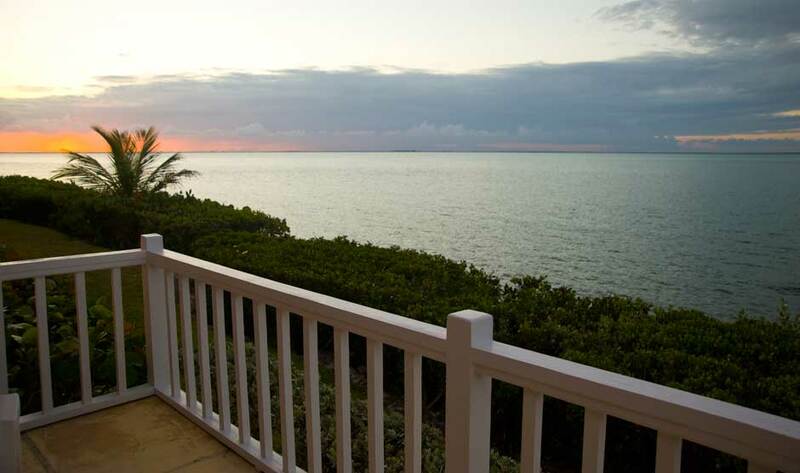 Guests stay in double occupancy freestanding ocean view duplexes adjacent to the lodge’s main bar and restaurant. Rooms are air-conditioned, each with sitting area, as well as private bath and porch. Andros Island’s most famous chef, Iyke Moore, prepares unique meals with a Bahamian twist. Construction was completed in 2000, so the entire facility has a very new and fresh feeling. The grounds are perfectly manicured, and all the villas are situated next to a small beach and flats inhabited by the occasional cruising bonefish, barracuda or shark. Andros Island is the largest island in the Bahamas and while it is only a short flight from Nassau, Miami or Fort Lauderdale, it is mostly uninhabited and unspoiled, protected from development by its shallow water shorelines and lack of natural harbors. Flat and heavily forested, Andros is not a single island, but a labyrinth of islands, cays and waterways. It extends about 100 miles from north to south and 45 miles east to west at its widest point, with an area of 2,300 square miles. Andros is also one of the least populated islands with a mere 8,000 souls. All live in small settlements on the eastern side of the island leaving the vast interior and western shores untouched. Mangrove Cay is located on the Middle Bight of Andros Island, on the central part of the island; ten minutes drive from the Mangrove Cay Airport. The site for Mangrove Cay Club was selected first and foremost with close proximity to numerous flats in mind, and secondly, to give fishermen access to the West Side. This legendary area is home to some of the largest bonefish that swim in the Atlantic, and is less than an hour’s boat ride from the Mangrove Cay dock on a calm day. The Mangrove Cay Club has earned a reputation in the last few years as an extremely nice (but not pretentious) and efficient operation, run by amazing hosts Liz and Alton Bain, and in the heart of perhaps the best part of the island to consistently find eager bonefish. Mangrove Cay is somewhat of an anomaly in the Bahamas – five star accommodations, things are always on time, amazing food, efficient boats and equipment, a complete staff of quality guides, and not a single disappointed guest. Want to know how to run a fishing lodge perfectly? Meet Liz Bain. Liz Bain is one of the original partners and has been involved with Mangrove Cay Club since its planning stage. She was hands on during construction and has managed the lodge since its opening in 2000. Liz is assisted by her husband, Alton and they make sure that everyone who visits Mangrove Cay Club receives the utmost in attention during their stay. Mangrove Cay is not Liz’s first lodge. She has made the Bahamas her home since 1990, managing the former Cargill Creek Lodge on Andros Island. Originally from Toronto, Canada, Liz has a background in accounting, customer service, and management that she puts to good use at Mangrove Cay Club. Like everything at Mangrove Cay, the fishing program runs smooth as silk. From the front porch, guests have easy access to the Middle Bight, South Bight, and the West side if conditions are right for a longer boat run. The North and Middle Bights offer opportunities for smaller (3-4 pound) bones in large schools that quicken the learning process for beginners; however anglers also have the ability to go looking for the larger (10 +) sized fish that Andros is famous for. The guides at Mangrove are accommodating, well kept, experienced, and very professional. The soft-natured mud flats surrounding Mangrove Cay dictate fishing from the skiff the majority of the time. However, there are times in which wading is feasible depending upon the conditions and location. 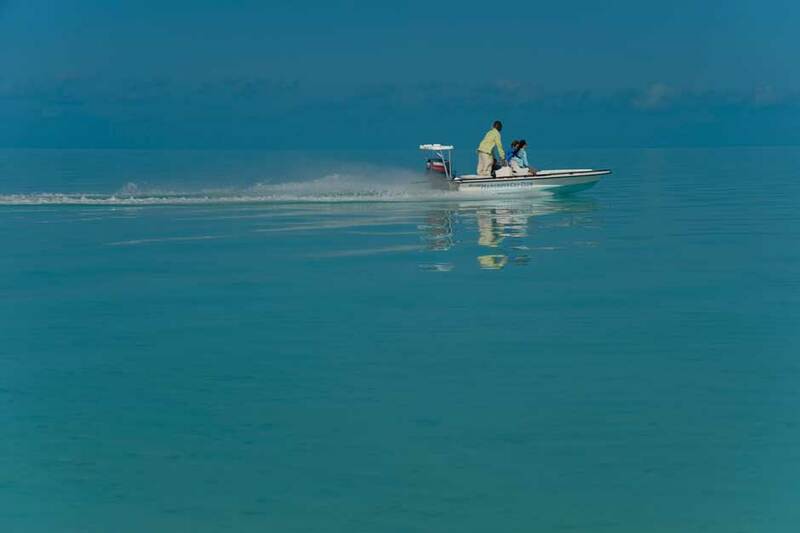 Mangrove Cay uses updated (and well maintained) Dolphin Super Skiffs equipped with 85 horsepower outboards, poling platforms, and comfortable cushioned chairs for anglers. The lodge employs a full time boat mechanic who maintains all nine of the lodge’s skiffs daily to ensure that they are all in working order. A typical fishing day begins with coffee and breakfast around 6:30AM. Following breakfast anglers build their own lunches, which are packed and placed in a cooler along with several cold drinks. The fishing day starts around 8:00AM, lunch is taken on the water, and anglers return to the lodge by 4:00PM for cocktails, a shower, and a wonderfully prepared dinner. Although typically known as bonefish fishery, there are opportunities on the flats for barracuda, jacks, as well as permit and tarpon if you are lucky – especially if you can make a run to the west side. Guests also have the option to go outside and fish for dolphin, wahoo, and other reef species as well if requested. 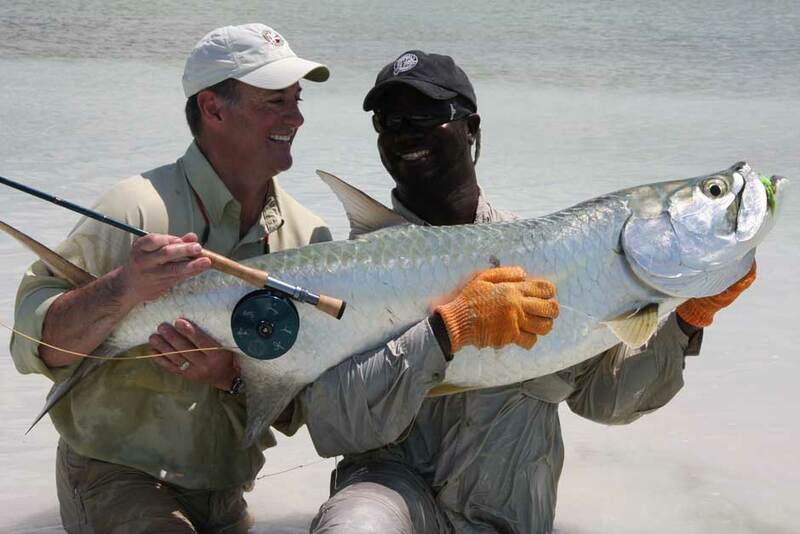 Mangrove Cay provides spinning rods and equipment for those anglers who are not interested in fly-fishing. They also have quality Thomas & Thomas and Sage fly rods and Abel reels rigged for back-up purposes free of charge. Mangrove’s guides all carry first aid kits, radios, knotless nets, pliers, hemostats, nippers, and other terminal accessories in every boat – just a few of the many thoughtful and small details that are indicative of every aspect of Mangrove Cay’s operation. 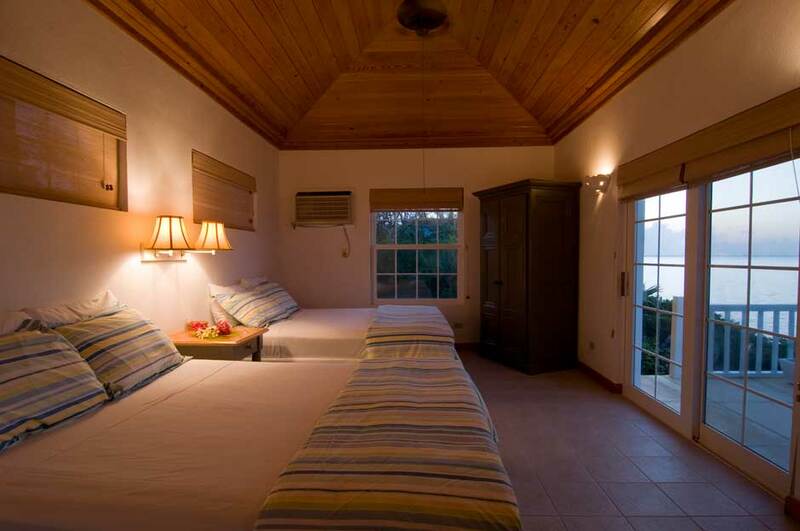 The comfortable lodging at the Mangrove Cay Club features eight spacious air-conditioned ocean-view rooms for a maximum of 16 guests. Each villa is a separate duplex style facility with sitting room, private bath and porch, all of which provides an extra sense of privacy. The lodge facility was completed in 2000, and the entire facility has a very new and fresh feeling. The grounds are perfectly manicured, and all the villas are situated next to a small beach and flats inhabited by the occasional cruising bonefish. Andros Island’s most famous chef, Iyke Moore, prepares unique meals with a Bahamian twist. 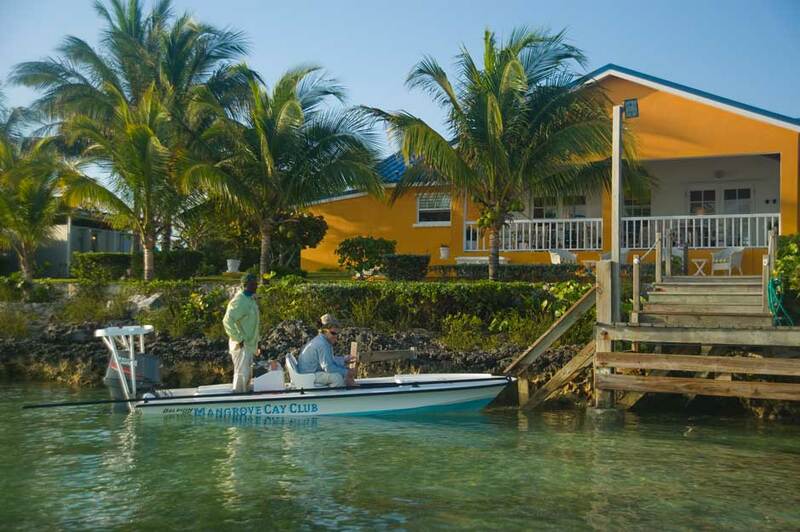 Mangrove Cay Club’s cottages are each split into two guest suites. On the outside wall of each suite is an extensive rod rack with a bucket for cleaning reels and a freshwater hose for washing rods and all other equipment each day – an important feature for any saltwater lodge. Both outside and inside the entrance are hanging pegs or hooks for wet clothes and gear. Once inside, one enters the sitting room with sofa, chairs and small tables – ideal for laying out tackle and equipment. To one side of the sitting room is the bathroom with lots of shelf and hanging space and a very large walk-in shower with plenty of shelving for shampoos, razors etc. All bathrooms have copious amounts of towels, robes, a hairdryer, electrical outlet (electricity is standard US 110 volt), as well as a full range of bathroom products supplied. Through double sliding doors is a spacious bedroom with two comfortable queen-sized beds. There are sliding doors out on to the veranda, which overlooks the Middle Bight. Each bedroom is equipped with a bedside table as well as a good-sized hanging cupboard and chest of drawers. There are four large pillows with a sheet, light blanket and tropical-weight duvet allowing for a choice of layers for each guest. Each room has drinking water and glasses, as well as a regularly filled ice bucket. The floor plan allows an angler who has awoken early to work with his fishing gear in the sitting room or have an early shower without awaking your fishing partner. Each villa has adjustable air-conditioning and hot water is plentiful, has lots of pressure, and is hot 24 hours a day (each cottage has its own system so there is no competition for hot water). All rooms also have plenty of electrical outlets for camera, video and laptop computer charging. The main lodge house has a fun bar, traditional restaurant, and an idyllic outdoor seating area overlooking the docks and the Middle Bight. It is the perfect setting for a few cocktails and relaxing after a long day in the sun. Mangrove Cay also has a small fly shop with a modest amount of equipment to supplement whatever you forget including sunglasses, hats, shirts, sungloves and sunscreen. The shop has a selection of tackle and supplies, but we do advise anglers to arrive with a good selection of flies, terminal tackle and items recommended on the equipment list provided in the pre-trip packages received upon booking. There is also a fly-tying table with material for guests to use. Daily commercial flights are available to Andros Island from Nassau with the Bahamian airlines, Flamingo Air and Le Air. Usually these flight schedules dictate an overnight in Nassau en route, however depending on your originating city it may be possible to travel all the way to the lodge in one day via Nassau. There is also a charter flight option available from Ft. Lauderdale directly to the Mangrove Cay Airport. We have worked with Air Flight Charter service for many years. They provide excellent service, well maintained Cessna 402 aircraft, and offer up the quickest way to travel to Mangrove Cay – a direct one-hour flight to Mangrove Cay Club from Ft. Lauderdale International. Using the charter flight is an economical and practical option for larger group sizes. The cost of the Round-trip charter flight from Ft. Lauderdale to Andros is based upon the number of people in your party and the amount of baggage and passenger weight in your party. Our charter service, Air Flight Charters, operates comfortable, eight passenger Cessna 402B and 402C aircraft. To determine the cost of the round-trip airfare to/from Ft. Lauderdale and the Mangrove Cay Airport per person, please contact us for a quote as these rates are always fluctuating due to the price of fuel. Generally speaking, a 1-9 person Cessna 402 aircraft is approximately $2500-$3000 roundtrip depending upon the equipment required in accordance with weight limits. Please inquire for more details. Travel to Ft. Lauderdale, FL. Upon arrival at Ft. Lauderdale, you will take a charter flight directly to Mangrove Cay. (Commercial flights are available from Nassau with Flamingo Air, however for convenience we recommend the charter flight option if the group is large enough to allow this economically). If flying commercially into Mangrove Cay, anglers usually must overnight in Nassua on New Providence Island. We suggest and can facilitate all required flight and hotel arrangements for this portion of the trip. Mangrove Cay’s air strip is well maintained and approximately 5000 feet and can accommodate private aircraft. Note: Under some circumstances, you can actually arrive at the lodge in time on arrival day to get in a full day of fishing. Upon arrival at the Mangrove Cay Airport, the group is driven five minutes to the lodge in an eight passenger van. At the lodge, you will meet Liz Bain, the lodge manager, get situated in your room, and prepare yourself for cocktails, dinner, and the next few days of fishing. Guests typically awake around 6:30AM for breakfast, which is served in the main restaurant. Following breakfast anglers build their own lunches, which are packed and placed in a cooler along with several cold drinks. The fishing day starts around 8:00AM, lunch is taken on the water, and anglers return to the lodge by 4:00PM for cocktails, a shower, and a wonderfully prepared dinner by famous chef, Iyke Moore. Transfer to the airport for your charter flight back to Ft. Lauderdale or on board a daily Flamingo Air flight to Nassau for the connection back to Ft. Lauderdale. Upon arrival back in Ft. Lauderdale, return to the commercial terminal for your flight home. 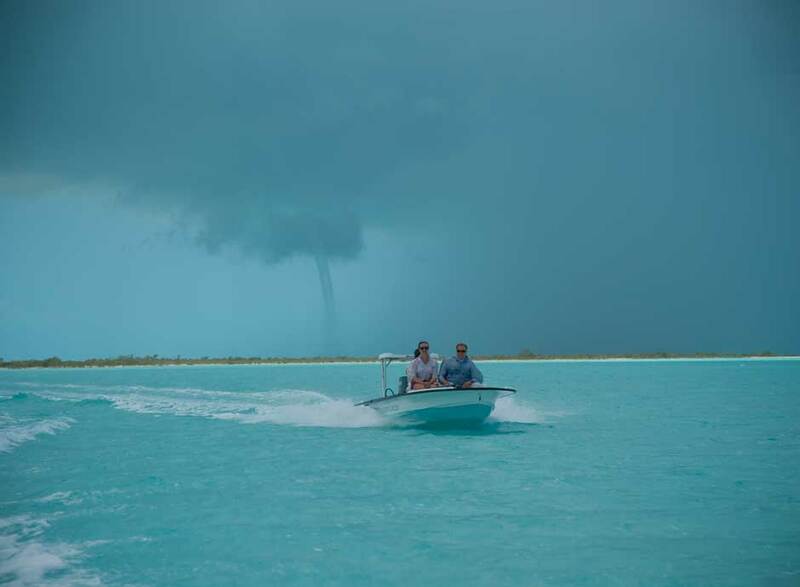 One thing people often neglect when considering a trip to the Bahamas is the weather. The Bahamas are in the Atlantic Ocean, not the Caribbean Sea. As a result, the islands are more susceptible to northerly cold fronts than their Caribbean neighbors to the south. There are a few loose weather guidelines you must consider. Cool weather and windier conditions can be a factor. The fish are of course always there, but you run the risk of getting cooler weather from the States. However, it is equally as possible to have 80-degree days and little wind. Some of the best bonefish fishing occurs following the passing of a cold front when water on the flats warm inviting rested bones back on to feed. This is a great time for trophy bonefish. 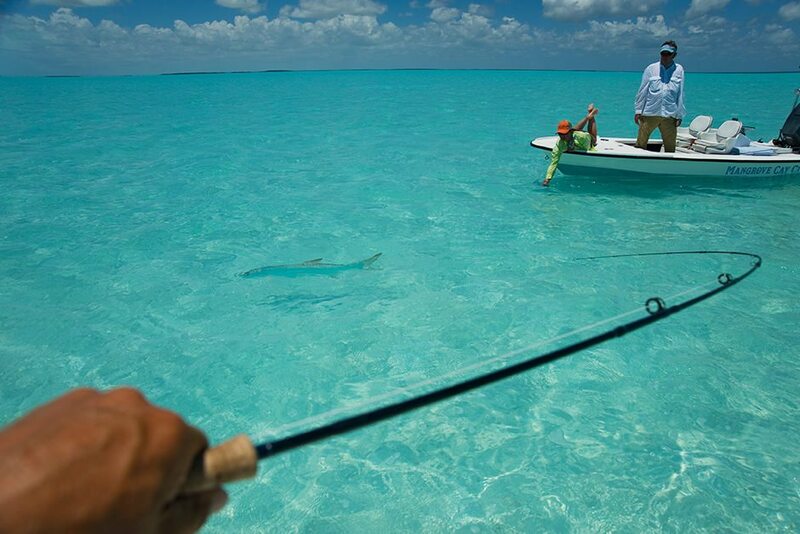 The prime spring months to fish the Bahamas. Consistently warm (not too hot) weather dominates the forecast. There is typically less wind as well. Peak Hurricane Season! Mangrove Cay Club is closed. Fishing is the predominant activity, but Mangrove Cay is an ideal place for non-anglers who do not require activities beyond relaxing around the lodge. Mangrove Cay has a small beach and is a wonderful place to soak in some sun, read a book, and get away from it all while one’s spouse or friend is out fishing. Non-anglers are also welcome to tag along with the anglers if they would like under most circumstances. Andros Island has tons of photography opportunities for those interested. Please inquire about the non-angling rates. Accommodations; guided flats fishing; all meals; round trip airport to lodge transfer; beverages including house wines, bar liquors, beer, bottled water, soft drinks; wireless connection, VOIP telephone calls (no charge within North America). Tailwaters Travel must adhere to the cancellation policies of the guides, outfitters and lodges which it represents. Mangrove Cay’s policy follows: A deposit of 50% is required to confirm a reservation and is due within 21 days of booking. The balance is due 90 days prior to departure. The deposit will be refunded, less a fee of $250/person, if written cancellation is made more than 90 days prior to arrival. Thereafter the individual is responsible for the total land cost and no refund will be made unless client replacement (client’s responsibility) is found. No refund can be made for unused arrangements or fishing time lost due to inclement weather. Receipt of deposit and/or final payment is acknowledgment that registrant has read and accepts the cancellation, refund and responsibility clauses. Travel insurance is highly recommended.